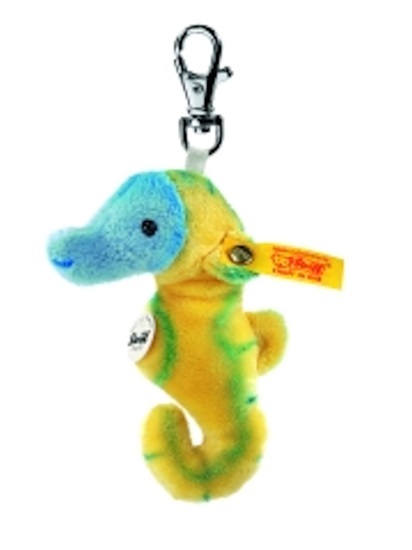 New in 2012 from Steiff comes "Putsy" the seahorse keyring. This is a soft plush seahorse that is 4-inches tall. He has a yellow body with blue stripes and a blue face. He has the brass plated button in ear and is machine washable in a mesh bag, in cold water. This keyring is good for decorating backpacks or finding your keys in your purse.